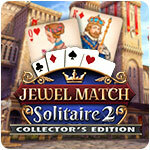 Jewel Match Solitaire 2 - Collector's Edition Game - Download and Play Free Version! 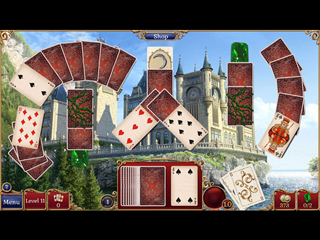 Restore the kingdom's mesmerizing castles in this enchanting Solitaire adventure! Restore the kingdom's mesmerizing castles in this enchanting Solitaire adventure! Travel the lands and collect resources to rebuild majestic monuments. 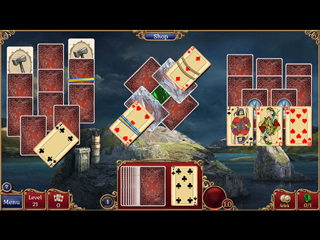 Over 300 levels, plus 18 Solitaire variants including Klondike, Baker's Dozen, or Freecell! Loads of unique game play alternatives shake up your classic Solitaire. Visit the shop to explore the myriad items available for purchase to help you on your quest to restore the kingdom to its former glory.